It’s January. The time of year when we remember just how well we celebrated the holidays by the fit of our clothes. And, we make resolutions to be healthier and leaner. I am all for doing whatever it takes to get the motivation to live a healthier life. Since I have launched this blog, I have written about workout programs, calorie-trackers and eating guidelines that help me to continuously live and eat healthy. In the spirit of the New Year, here are my top 5 foods that help me maintain eating healthy week in and week out. These are food that I have come to love and believe in for helping me eat healthy, maintain calorie control and feel satisfied. A handful of almonds go a very long way. Nine clinical studies have shown that almonds help lower cholesterol when part of a diet low in saturated fat. Almonds, high in monounsaturated fats, also help reduce the risk of heart disease. They are great as a snack, and I sometimes chop them up and put them in my oatmeal. 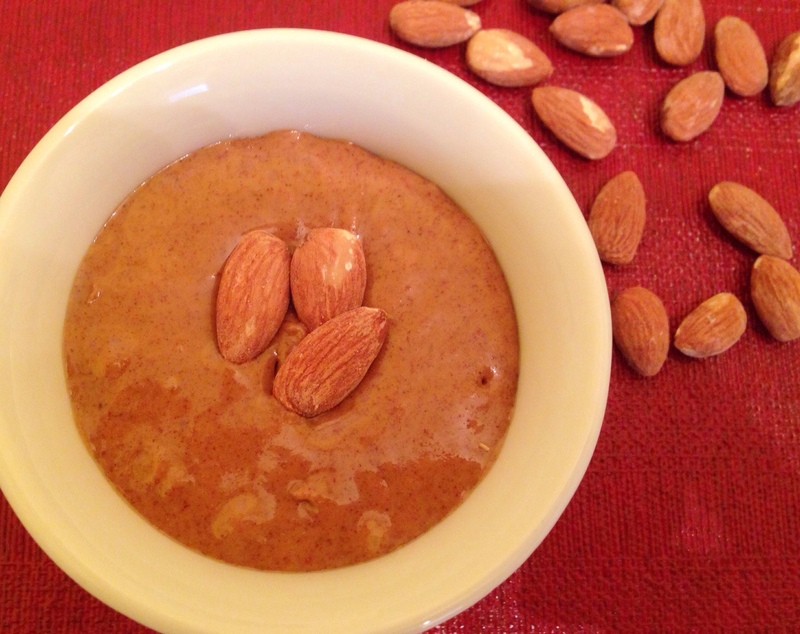 But most often, I eat almonds in the form of Almond Butter – 1 tablespoon on a rice cake for breakfast. It’s filling, healthy and makes for a low-calorie breakfast. 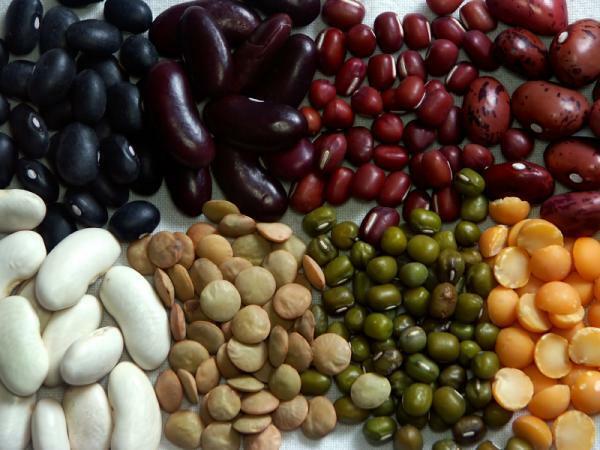 Beans are high in antioxidants, fiber, protein, B vitamins, iron, magnesium, potassium, copper and zinc. Studies show that eating beans regularly may decrease the risk of diabetes, heart disease, colorectal cancer. (dr oz) I eat beans 4-5 times a week. I put them in my salads (garbanzo, northern, kidney and black beans) about a half a cup for a serving, and make bean-based soups. Not only are they healthy, but they are hearty, leaving me full. I often add pumpkin seeds or other nuts to my salad or soup to help make it a complete protein meal, such as my lentil soup with mushrooms and pepitos. 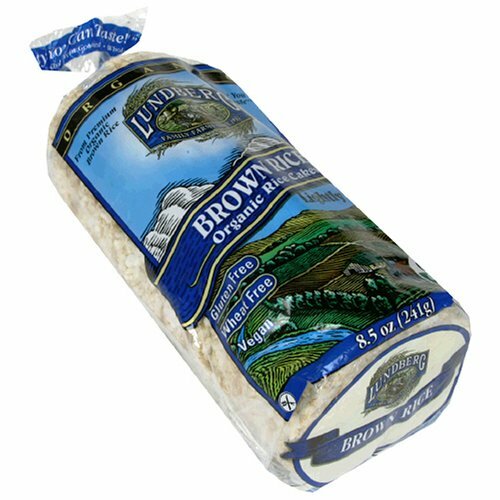 For this one, I named a brand rather than just including brown rice cakes. It’s because I love these organic gluten-free rice cakes more so than other brands because they are sturdier, tighter packed and can therefore hold toppings better, even wet toppings like tuna salad. This is my personal view (I’m not collecting money to say this). Since Lundberg’s are tighter packed, they contain more calories than the lighter ones but they are also more filling. I make a concerted effort to eat fish several times a week because fish offers high protein at fewer calories than other animal proteins and there are great health benefits. Research, published in The Annals of Internal Medicine, suggests that eating oily fish once or twice a week may increase your lifespan. Salmon, in particular, is considered an oily fish and one that is very high in omega-3 fats, which have been shown to reduce heart disease. Studies show that omega-3 fatty acids may help with other conditions, including rheumatoid arthritis, depression, and many more. 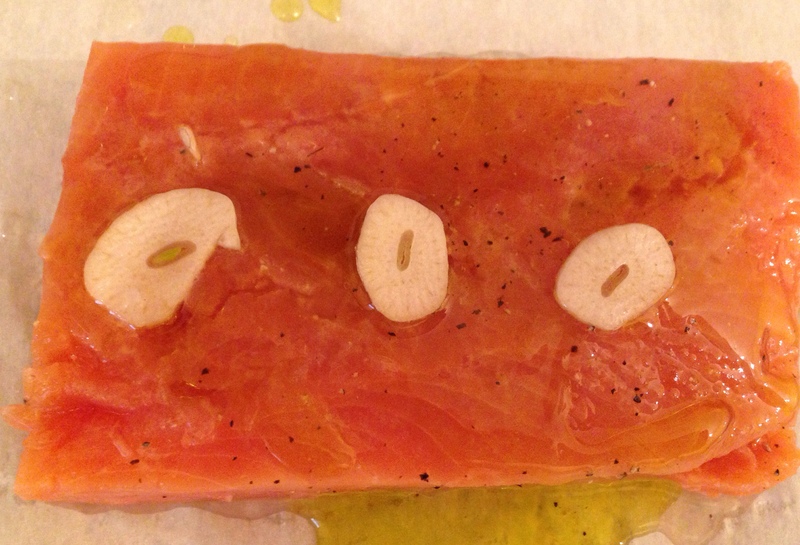 I often poach salmon, bake it in a roasting pan or en papillote – steamed in parchment paper (see recipe). 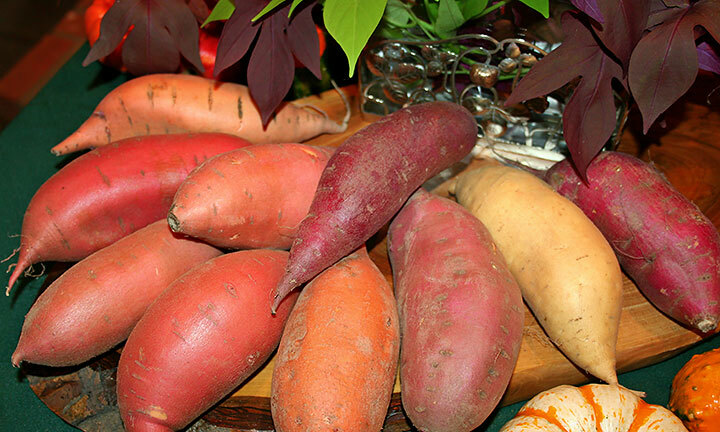 Sweet potatoes are a true super food so it’s no wonder they make my top 5 healthy food list. They’re filling, healthy, gluten-free and high in fiber, potassium, and vitamins A, B6 and C. When cooked well, they are naturally sweet and moist and require no butter or anything. Just wash them, wrap them in foil and bake in a 400° oven until they are soft. It takes a while – depending on size, it can be 1-1 ½ hours. Because they take so long to bake and a microwave doesn’t do them justice, I often make them on a weekend and keep them in the refrigerator for eating later in the week. I’ll eat them at room temperature at lunch or heat them up for dinner. Another way I eat sweet potatoes is to make chips out of them. Dice the sweet potatoes into 1/4″ pieces. Place on a baking sheet. Add olive oil, then sprinkle with salt and cayenne pepper and bake in a 400° oven for about 25 minutes. The pieces with the skin on will get a bit crunchy the inside pieces will not. You will need to watch it so that the potatoes are not too crunchy, or else they’ll be burnt. I sometimes eat this as a snack, or as a side dish. This entry was posted in Blog, Healthy Living and tagged almond butter, almonds, beans, gluten free, healthy food list, omega 3, salmon, super food, Sweet potato on January 5, 2014 by Leslie.